Spirit of Africa is a children's charity which was founded in 2010 with a focus in South Africa. Our project is located within the Valley of a Thousand Hills in the Kwa-Zulu Natal. 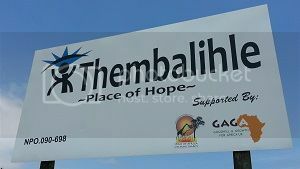 The money raised by our charity goes directly to improving the lives of children within Ithembalihle. We support with the running of a local foster care home as well as a pre-school. We provide suitable healthcare and education for the children within our project providing them with a safe and maintained environment in which they can develop and grow. The project also provides education for many children within the valley preparing them for the next steps into school. Any donations make a huge difference to the lives of the children within the area.